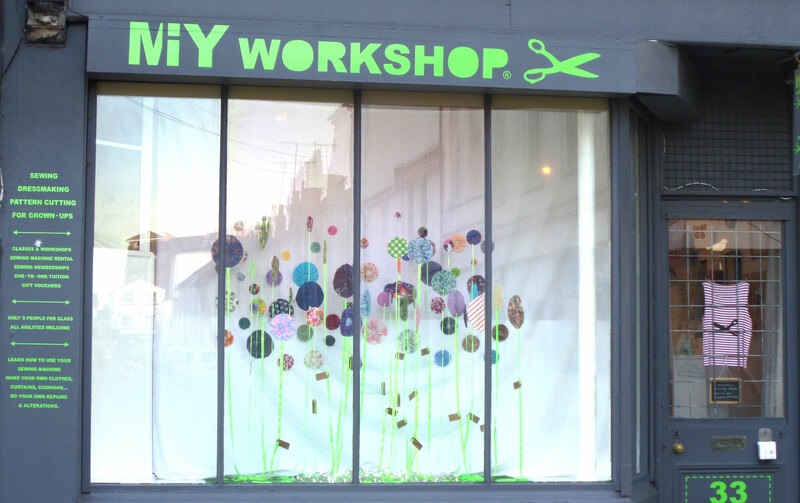 The theme of the current window at MIY Workshop is “Sewing the Seeds”. It’s on a Spring theme and I asked students to make Suffolk Puffs that could then be used in the window display. They came up trumps and I found myself overflowing with Suffolk puffs! If you’re in Brighton, pop by and have a closer look – all those brown tags are names of students who made the Suffolk Puffs. I think this window is a perfect representation of the MIY Workshop student community and the newly acquired and developing skills that they’re enjoying putting into practice. 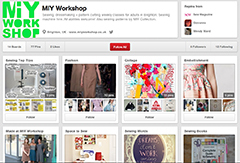 This entry was posted in MIY Workshop, Student in the window and tagged learn to sew brighton, MIY Workshop, sewing classes Brighton, suffolk puffs, visual merchandising, Wendy Ward, window display. Bookmark the permalink.